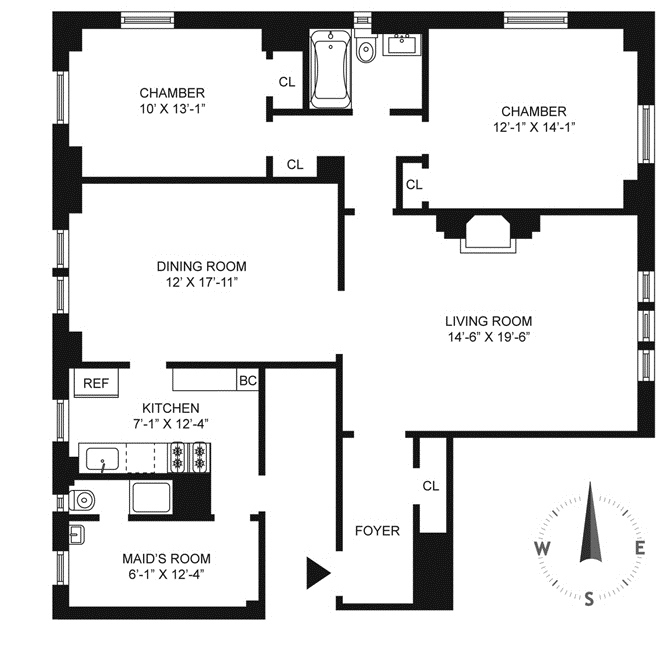 I'm often asked how to determine how many rooms an apartment has. There seems to be confusion about bathrooms and kitchens. The media is often wrong and some brokers misrepresent the amount of rooms in a listing. There is a method for determining the room count in a NYC apartment. Jane Reilly Mount wrote in the NY Post's real estate section that a "classic six" apartment only has five rooms and reported that only the "classics" count the kitchen in the total count of rooms and other apartments do not. 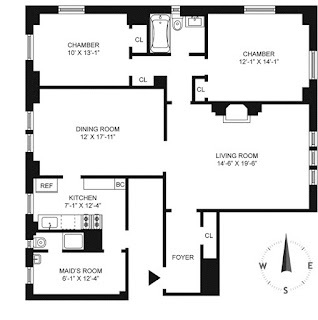 Since I'm a real estate broker, I know how to count rooms in an apartment. As a blogger, I would be remiss, if I did not correct the NY Post's error. Kitchens are always included in apartment room count except for a Pullman kitchen which is not a room. The number of baths are counted separate. Often the second bath in a classic six is the maid's bath. The formal dining room and maid's room make an apartment a "Classic"
A "classic seven" has three bedrooms, living room, dining room, kitchen, maids room. For the record there is a classic five too. My favorite is the "Edwardian five." (one bedroom, living room, dining room, kitchen, maid's room) New Yorkers lived quite grand during the Edwardian era (circa 1900-1920) The Edwardian five was a great apartment for entertaining. Today's residents often reconfigure the dining room and maid's room into a second and small third bedroom. The small maid's bath can be turned into a laundry room..
Search here for Manhattan Apartments or here to receive listings by email. Hi Carole, I never heard of anyone not counting the kitchen. There are brokers that try to pass studios off for 1 bedrooms. A large studio with an alcove is sometimes called a junior 1. (meaning a junior 1 bedroom) it is only 2.5 rooms but they put it in the system as 3 rooms so it will come up on 1 bedroom searches. Another trick some brokers use is calling a regular apartment even a tiny studio a loft. Thanks so much for sharing Apartment Room Count related information. It's really valuable. It is important to know that how everyone has a different room count. I have learned a lot of things through this post. Love it. Thank you so much for sharing Apartment Room Count related information.